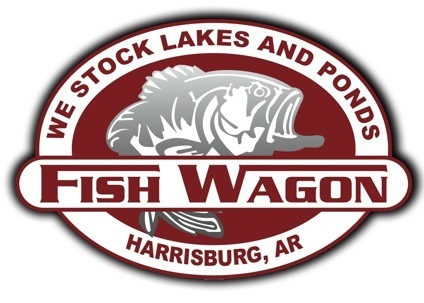 The Fish Wagon provides pond stocking services and visits Standley Feed & Seed in Madisonville, TX on Friday, February 1, 2019 from 2:15PM – 3:00PM. The Fish Wagon carries channel catfish, red ear sunfish, native and hybrid bluegill, largemouth bass, koi, fathead minnows, black and hybrid crappie and grass carp. Everything from Fish Wagon is backed by a full replacement guarantee. If you experience the loss of any species purchased from Fish Wagon within the first 30 days, they will replace your fish the next time they visit the area at no cost to you. In addition, they also offer free pond delivery with orders of over 1200 fish. Call today to confirm your pond stocking delivery at 1-800-643-8439. This entry was posted on Wednesday, November 18th, 2015 at 10:26 pm	and is filed under Events, News & Updates. You can follow any responses to this entry through the RSS 2.0 feed. Both comments and pings are currently closed.